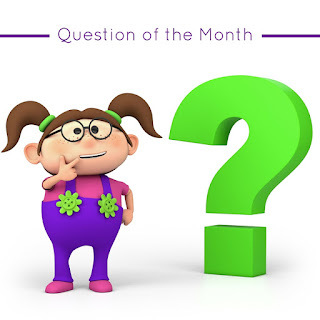 Harlequin SuperRomance Authors Blog: Question of the Month: What Is Your Favorite Trope? Question of the Month: What Is Your Favorite Trope? The Romance Writers of America National Conference is going on this week in San Diego, and that has us thinking: What is your favorite romance trope? Janet Lee Nye: My favorite trope? Not sure I have one. I know I write extreme opposites. I like to put two people who should run far away from each other together and see if I can get them to fall in love. In reading, again, not so much a trope, but I like to read about every day people, not billionaires and jet-setters. Kris Fletcher: Funny thing - I have two favorites, and they're both sides of the same coin! I adore friend to lover stories. Something about watching two people learn to see each other in a whole new light just makes me melt. But at the same time, I get a huge kick out of secret identity stories. The torture as they fall in love and at least one of them knows it's all a sham ... I guess that appeals to my slightly twisted side. Kristina Knight: There are so many good ones!! Secret babies are always fun, and so are friends to lovers, and workplace romances...but I think one of my favorites is the marriage of convenience - there is something about two people who think they're too smart to fall in love actually fall! Vicki Essex: I find that a well-executed story can turn even my most loathed trope into a fantastic read. But my favorite trope is a historical marriage of convenience to a rakehell. What a great word for an utterly unmarryable man. Brings to mind my current crush, Tom Ellis, aka Lucifer Morningstar of TV's Lucifer. Jennifer Lohmann: I LOVE bad boy heroes/good girl heroines. I don't think I could write one, sadly. Pamela Hearon: I love friends to lovers and especially enemies to friends to lovers. If he's her older brother's best friend and she was the twerpy baby sister who hated him, even better! Sharon Hartley: I love reunion stories. A couple -- of any age -- who meet years later after a failed romance in the past. Cathryn Parry: As a reader and writer, I love a mix of romance tropes as well as a mix of settings. Variety is my spice in life. Claire McEwen: My last three books have been variations on the reunion trope, so I must have a thing for reunions! In fact, now that I think of it, the fourth book in my Sierra Legacy series has a bit of a reunion as well. But I love reading and writing other tropes. One of my favorites is when the hero and heroine have to work together. I like all that tension and conflict of work vs. romance. And I love the best-friends-with-the-heroine's-brother trope. It has so much potential for sweetness, and it usually also involves some sort of friends-to-lovers evolution. Joanne Rock: My favorite trope is the one that a writer turns on its head. I am always drawn in by the tried and true --coming home story, reunion, matchmakers, snowbound--when an author does something really different with it. The coming home story is set on a boat or a remote island. The matchmaker story is a pair of ten year olds scheming to get a wife for dad. The snowbound story is a couple trapped in a cabin because of an encroaching fire on a nearby mountain. I guess I like the comfort of that familiar story line combined with the thrill of a skilled writer who does something special to make me see the story in a new way. I always enjoy marriage of convenience stories. So much fun to read. Cowboys versus city girls and their ways.